Task: to help people optimize their mobile phone expenses. 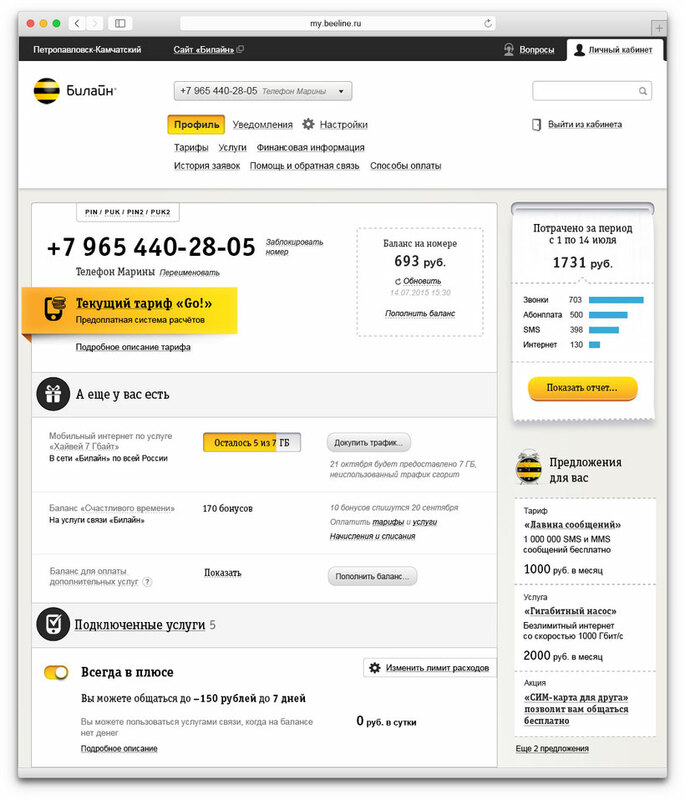 Beeline clients can use the My Account section of the Beeline website to manage their phone numbers, tag them for easy orientation, control account balances, set up internet access for mobile devices, top up using linked credit cards and setup automatic payments. The main page of the section displays the remaining balance and data, bonus renewal dates, spending by categories in the past month, enabled services and recommended offers. The Finances section contains spending information illustrated with diagrams and a detailed activity breakdown for the chosen period. The system keeps track of how much the user spends on which services and suggests relevant ways to save money. 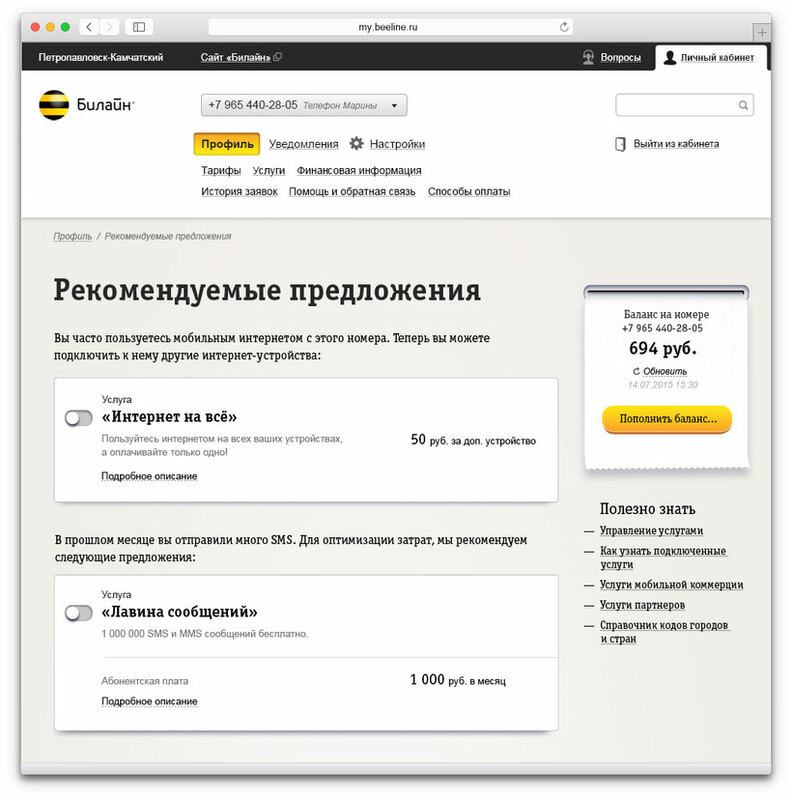 The recommendations are shown on the main page and in the Offers section. 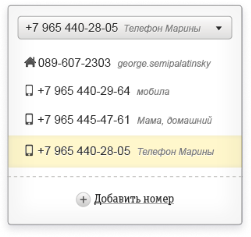 Several phone numbers can be added to a single account. Adding custom notes to numbers makes managing phones of an entire family effortless. Should the users still have questions about their account, they can always address them to customer support. A separate page keeps track of all conversations with agents. 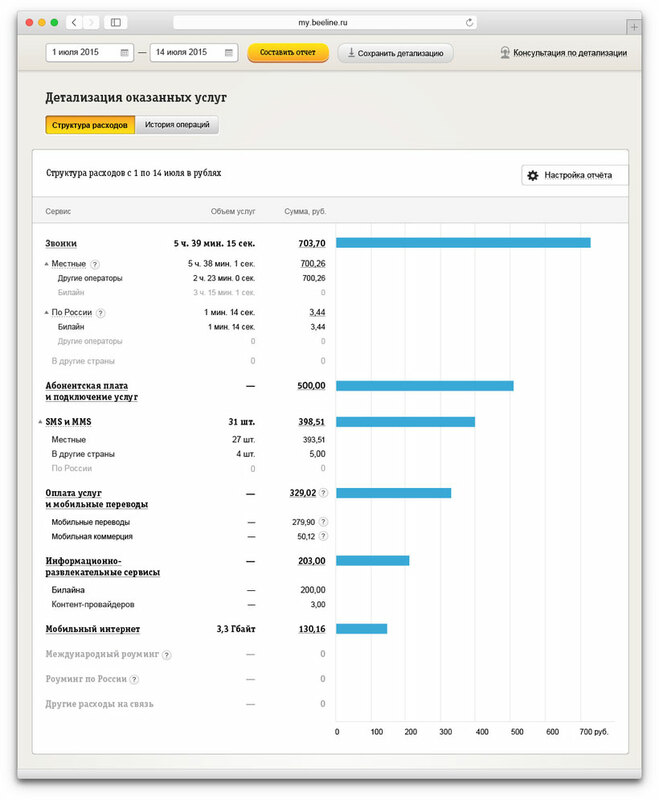 Users can print the account information and activity history using beautiful templates which produce elegant documents.